Books To Educate And Empower Your Children from Empowering Resources, and a Giveaway!! Empowering Resources is a company that specialise in publishing stories that nurture, educate, and empower children. I was recently sent the books available in their range, and was impressed with the powerful messages in each story..
Jemima is loud, and she loves to dance and sing. But her classmates and teacher think that she is 'too different'. Then one day, a substitute teacher named Mrs Chuckles comes to teach Jemima's class, and she helps Jemima discover that her differences are what make her so special. 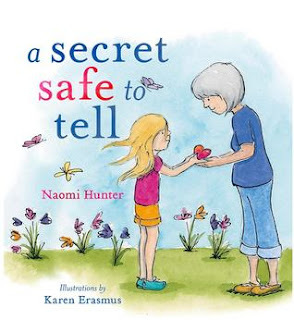 This picture book celebrates every child's individuality and makes them feel special about the differences they have to others. This story encourages children to share any confusing or hurtful feelings that they may be going through. It centres around a young girl who has been mistreated by an older male. She is initially afraid to discuss her feelings with anyone, but eventually confides in someone she trusts, and she begins to heal. 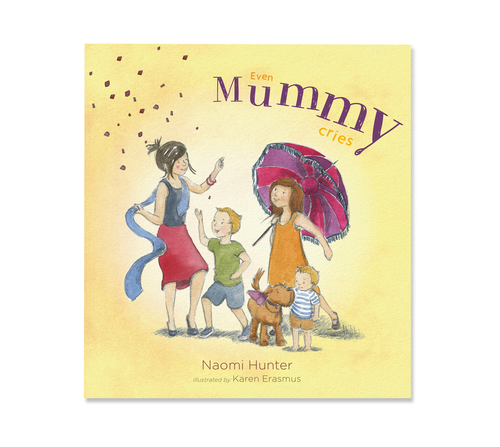 Even Mummy Cries is a great book to show children that parents also experience sadness and bad days, and it reassures the child that they aren't responsible for these moments. It reinforces unconditional love and gently explains that everyone goes through tough times. This is a very sweet story about a little girl who has an imaginary friend named Molly. They play together, and spend a lot of time together. 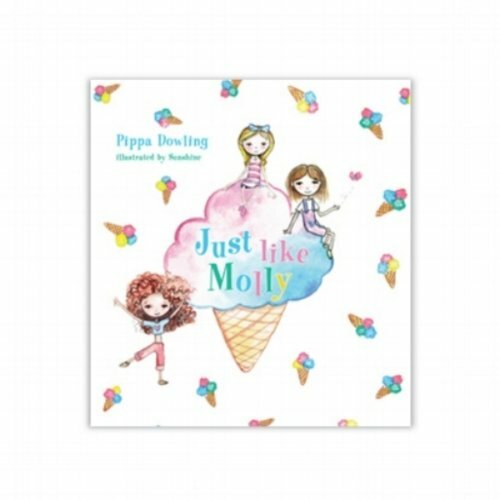 But one day, Molly is nowhere to be found, and the little girl is devastated. But she soon discovers that there are other friends she can play with - all it takes is a bit of courage. When 11 year-old Ebony meets Teena, they become friends and over time, they learn how to trust each other with their darkest secrets. 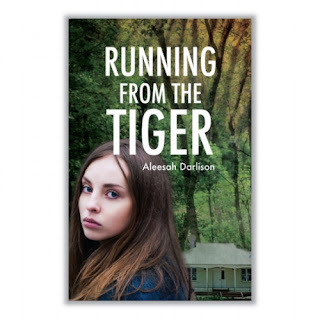 This story focuses on friendship and trust, with themes of domestic violence and courage entwined throughout, and demonstrates the importance of having somebody to confide in. And with thanks to Empowering Resources, I have 3 copies of You're Different Jemima to give away!! Three different winners will each get a copy valued at $17 each, so get entering! Who would you like to share/read this book with, and why? 2. Giveaway closes on 13th March, 10 pm; winner will be contacted via email within 48 hours. Failure to receive a response from the winner will mean the prize is forfeited and a new winner will be chosen. 5. In The Good Books Blog will not be responsible for any prize that goes missing through Australia Post. 8. Total prize value is $51 plus postage. I won't enter - given my lack of children, but I love that there are so many books nowadays with great messages for kids. I'm not sure they existed 40 years ago when I was a youngster! I would love my students in the library to explore the message 'You are all different and let's celebrate that!' and I think this book would be just the right stimulus for that discussion. I'm not going to enter as I don't have kids but I love these books with great messages. In my fantasy land, I dream of one day writing something so inspiring! I used to love reading children's book to my kids when they were younger. I used to enjoy the stories as much if not more than they did! Thanks for linking up for #lifethisweek 9/52. Next week: Must Watch TV. I love the look of these books!! Especially the one about when mums cry, it resonates with me. I also like the idea of the book you are giving away, my youngest is seen by others as a bit different, but I have noticed since going to school she has unfortunately began to repress her uniqueness.I have began to follow you via Facebook. Celebrating difference is most important. A book with a message to be shared with my girls and available on our shate shelf for all the visitors to also read. 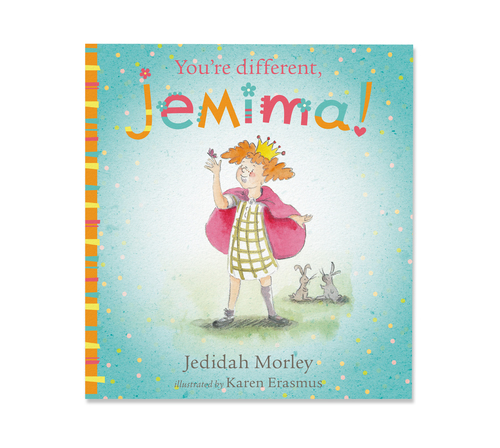 Little Miss would certainly be able to relate to the story "You're Different Jemima". Being different is a bit of a family trait. It's can often be those who are different who change the world for the better. A lovely opportunity thank you. I would love to read this to my daughter. She needs to learn to embrace differences and accept people of all shapes, size and race, including her own! I would love to read this to my little grand daughter Lola. I'd love for her to acknowledge and embrace the differences in everyone. To see that it's our differences that make us unique, beautiful and interesting.